My rear shift cable makes a hard almost 180 degree turn from the end of the bar tape to the head tube (2012 Trek Madone). All other cable housing I have tried tends to steer the bike and eventual bind up and crack. 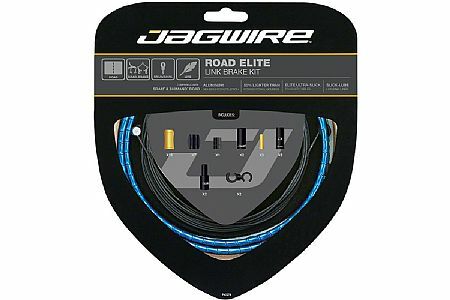 Jagwire has solved my problem. These are expensive cables no doubt, but they're effectively a buy once product because the sealed lubrication keeps them lasting a long long time. Performance is absolutely top notch in terms of low cable friction, good modulation and slippery smoothness. You'll also lose a good chunk of grams with these if you're coming from traditional housing. All said and done, they're absolutely worth the cost premium.